This is as far as Kamren made it when he said ‘I will read them all!’ on the podcast. lol. 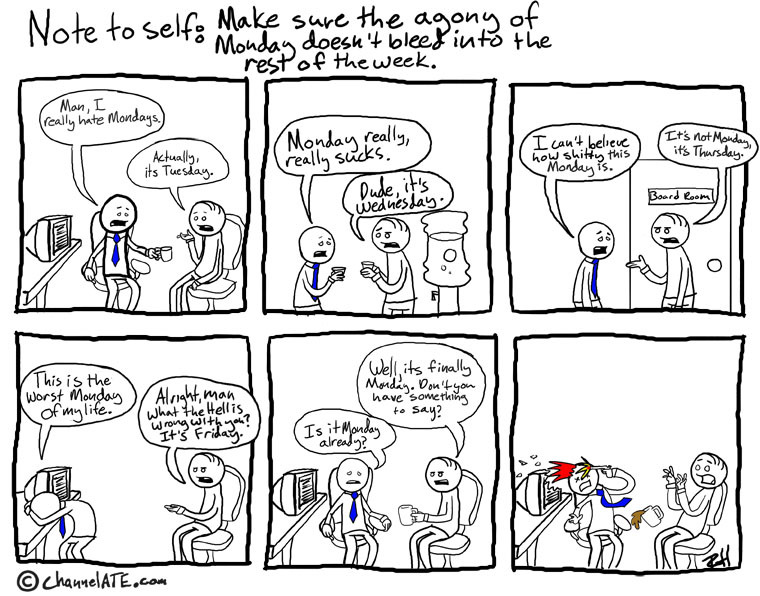 Actually the first and second panel are quite legit, as he doesn’t state that he believes the current day to be Monday. Wow, I love this! This is perfect.